What started as “Scribbles on the wall/desk at 4:30 a.m.” has morphed into a set of “commandments” quoted in earnest by teachers, school principals, and motivation speakers in China. 1. 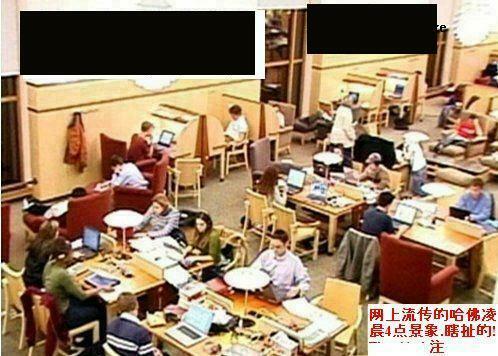 In respond to an inquiry from Mr. Chan, 上海市田园高级中学英语教研组组长, Deborah Kelley-Milburn, Research Librarian & Virtual Reference Coordinator at Harvard University, said unequivocally that such “sayings” do not exist. 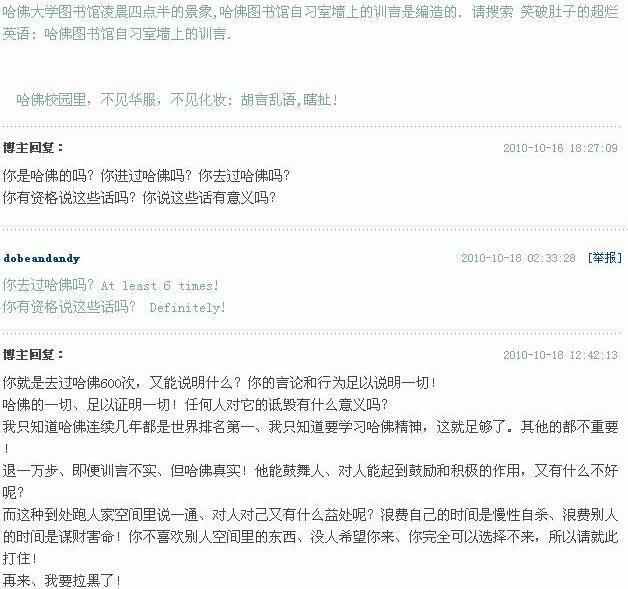 2.Danny Fung, the author of the book “ALLOCUTIONS ON THE WALL OF THE HARVARD UNIVERSITY LIBRARY” has admitted it was all fabricated. 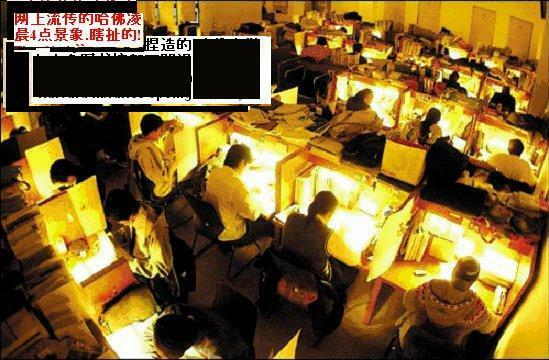 You can find the Chinese newspaper report: “哈佛墙上的训言开国际玩笑 作者承认编造” on the Internet. Note, however, the “Harvard at 4:00 a.m.” post has been in circulation since at least 2007, while Mr. Fung’s book was published only in 2008. The Harvard Library motto nonsense. Some titles are in outrageously bad, incomprehensible, English. Some of these are in Chinese, some are bilingual. There is only one Chinese version, but at least five different English versions, two of which are written in completely mangled machine translated English. This alone should have warned readers that it could not possibly be a product of Harvard’s. But most people seem to prefer blind faith to logic. Yes, a few people tried to open other people’s eyes, but for one such attempt, there are hundreds of “Harvard Library Wall engraving” popping up like mushrooms after a spring rain. This spread of misinformation has now reached epidemic proportion. School teachers are posting them up on billboards, school principals conduct their morning assembly by giving a talk on this, “Learn English” forums, cram schools, are putting these up as “good English learning material”–makes you wonder what qualification these people have when they could not even tell “is lacks diligently” is not “English” at all! 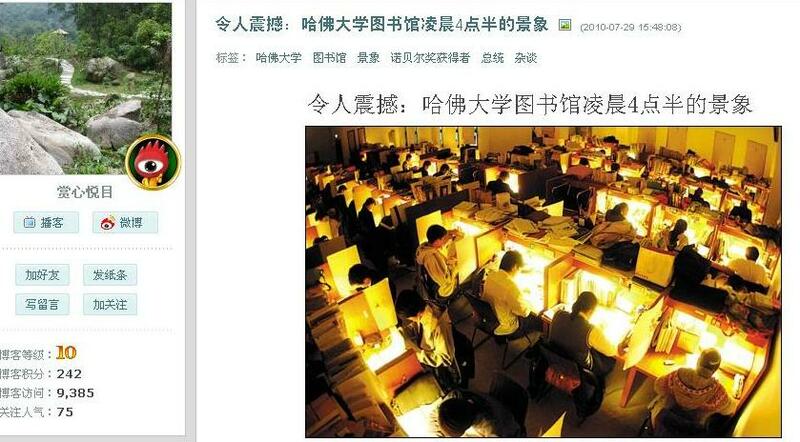 Recently, this “nonsense” appeared on the Ministry of Commerce website as a reading recommendation (中华人民共和国商务部选作双语阅读), and was soundly ridiculed on the Chinadaily BBS ( 堪称 Chinglish 的典范，值得“共勉”！ 这就是哈佛的凌晨4点！共勉. 有谁知道这是出自何人手笔的吗？/Classic example of Chinglish. “Harvard at 4 a.m.”. Can someone tell me who is responsible for this?) 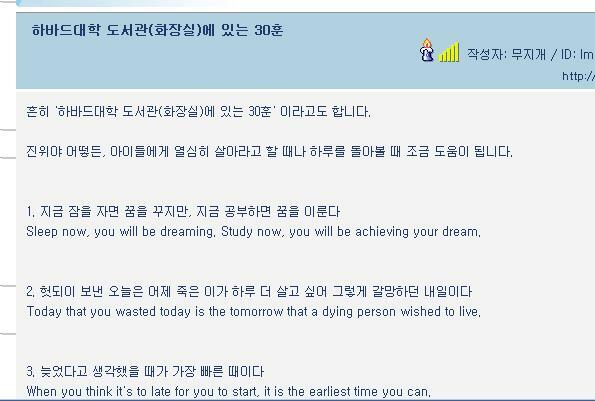 The most hilarious is the Korean version of “Words of knowledge from the Harvard Toilet“! There are twenty “mottos” in the set. Let us start by examining a few from each of the two “broken English” versions. 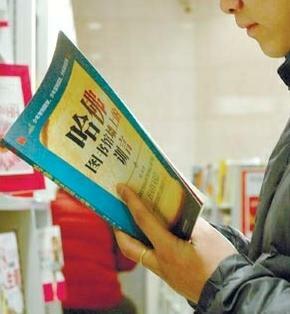 I will not put down the Chinese version yet, because that will clue you in as to what they mean. 2. There are two verbs to be in the first sentence. I said “first sentence” because the comma should be a period. “Exactly is the earliest time”: “What” exactly? 15. Yes indeed! “Today” cannot walk! You and I can, but certainly not “yesterday”,”today” or “tomorrow”. 20. “Has not been difficult, then does not have attains”. Who or what has not been difficult? And pray tell what “does not have attains” means. Now let’s have a look at the corresponding Chinese text. Clearly, this is a product typical of software produced translation from Chinese (机器翻译的英语), and not something written by, or worthy of Harvard. 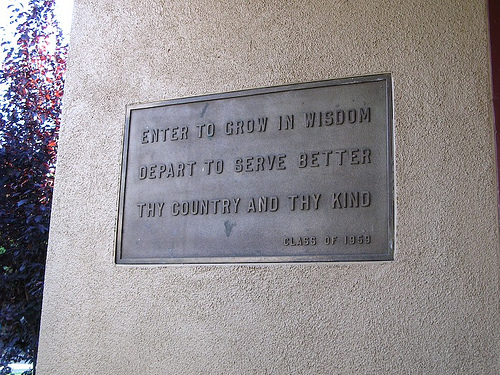 How can English so foul be engraved on the wall of the Harvard Library? Give me a break! Wait. Don’t go away; I am not done yet. The worse is yet to come. The second English version is even more outrageous. Let’s look at a few. 13.Now the Halazi mobility will become tomorrow’s tears. 17.Representatives income level of education. 18. End the day will not come again. 20. Not difficult, it nil. Can’t figure out what they say? I can’t either. So here is the Chinese version to help you out. I bet if you were to stop any native English speaker on the street, anywhere in the world, and ask he/she what “Halazi mobility” is, he/she would be completely dumbfounded. Obviously, these were originally written in Chinese. 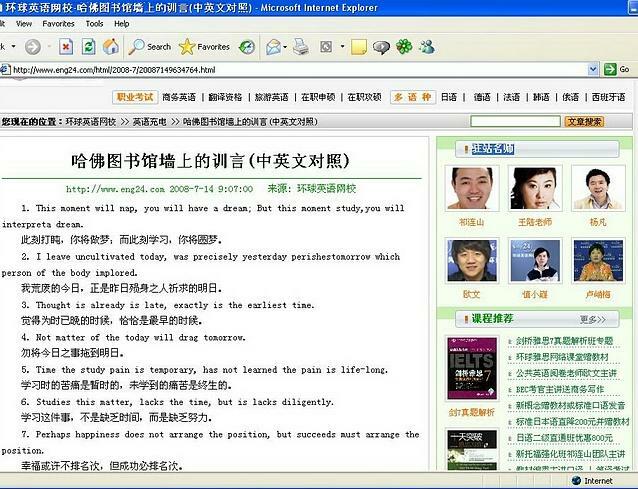 They were then translated into English by software. I was told that version 1 was the handiwork of Yahoo’s babelfish software translator. I have also come across a third and forth version. Version 3 is slightly better, obviously of human origin. Version 4 was by Mr.Wang at New Oriental School, while Version 5, the best so far, was a “group-effort translation for fun exercise” at the Rainlane BBS. Authors of versions 4 and 5 flatly refuse to believe this mess comes from Harvard. Academic institutions such as Harvard are called “Ivory Towers” because of their lofty ideals. Talking about levels of income, or ranking of successes, is definitely not their mindset. Have a look at Harvard’s motto and you will see what I mean:” “Veritas.” (Truth). On the other hand, these so called “Allocutions” are not particularly profound, nothing more than a smorgasbord of old, well known sayings plus a few home spun preachings. Some even don’t make much sense: “Time is passing”, while others, such as “there is a ranking for success”, are crass rather than philosophical. Without the label of “Harvard University Library”, few, if any, would give it a second glance. But once someone tags it with that label, it takes on the aurora of respectability and rises to an oracular status. You can see from them what the true Harvard spirit is. Originally written for netat.net under the penname of “forgotoldname”. I have been going to numerous websites, blogs, BBSes, tutorial school sites since late 2007, trying to convince people that the whole thing is fabricated. 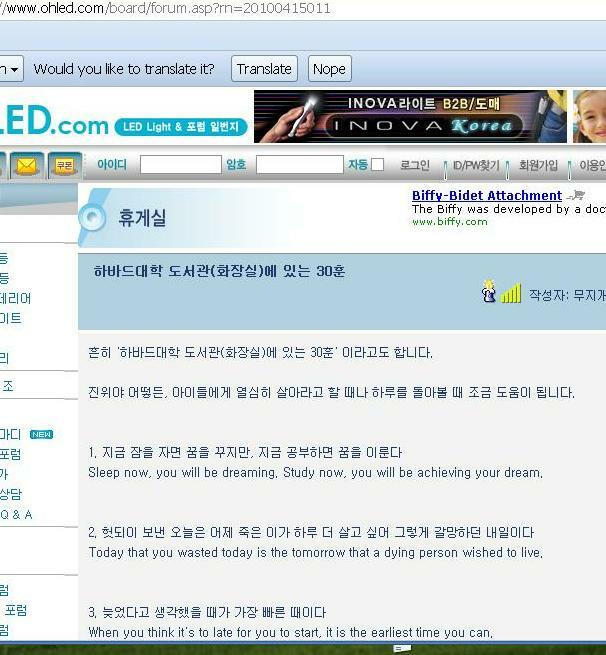 For that I have been chastised, my ID banned, and even my IP banned, from many places, including many Learn-English tutorial school sites such as 东方网站 Koolearn. The teachers, professors, head of law dept, school principals, moderators and administrators in those places steadfastly held onto the believe that the 哈佛图书馆墙上的训言 is real. I have been banned from several sites; some even banned my IP number from accessing their sites. 11. Nobody can casually succeed, it comes from the thorough self-control and the will. 1. 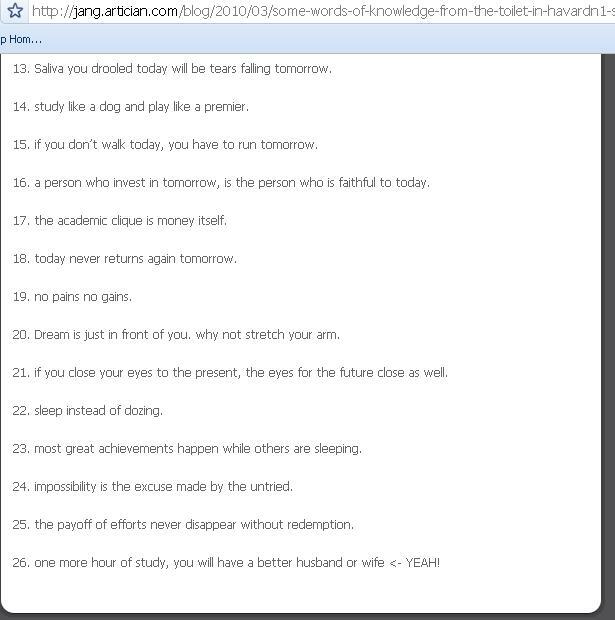 Nodding at the moment, you will dream; While studying at the moment, you will come true. “You will come true”哈!哈!哈! Ha! Ha! Ha! 2. I deserted today, is the person who failed yesterday to pray for tomorrow. 3. That too late when it is the first time. 4. Do not wait until tomorrow to recover. 5. The study, the pain is temporary, not a lot of pain is lifelong. 6. Learning this, and not lack of time, but lack of effort. 7. Happiness may not be ranked, but success will at the top. 8. Learning is not all of life. However, since even a part of life – learning can conquer, what can be done? 9. Please enjoy the unavoidable suffering. 10. Only earlier than others, more diligent efforts to taste the taste of success. 11. No one should be casual successful, it comes from a thorough self-management and perseverance. 13. Now the Halazi mobility will become tomorrow’s tears. “Halazi mobility”是什么英语？ What the heck is “Halazi mobility”? 14. Dogs like to learn, as a gentleman to play. 15. This does not leave tomorrow He walked. 16. Invest in the future of the people, loyal to the people in reality. 17. Representatives income level of education. 19. Even now, opponents also kept banging on the page. Supposed to show Harvard Libraries at 4:30 a.m. In reality, only the Lamont library is open at that time, but there are few people there at those wee hours. 超烂英语被中华人民共和国商务部选作双语阅读 The Chinese Ministry of Commerce has selected this as their “recommended bilingual reading”. Hopefully, they have taken it down by now. Here is a record that it actually happened. 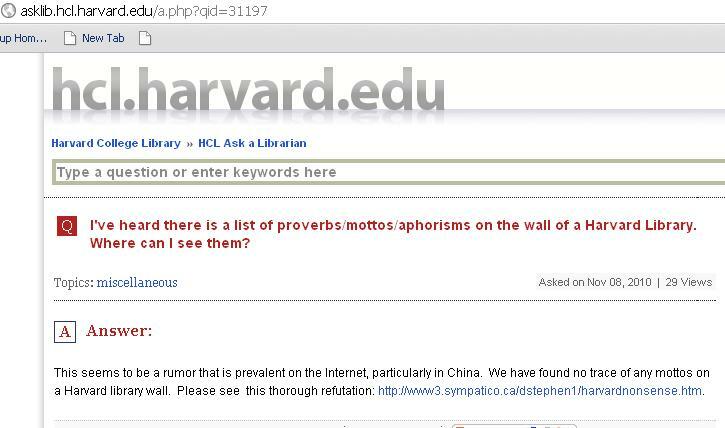 《哈佛图书馆墙上的训言》(“ALLOCUTIONS ON THE WALL OF THE HARVARD UNIVERSITY LIBRARY”)。作者丹尼·冯. 1. If you sleep now, you will be dreaming. If you study now, you will be achieving your dream. 니가 지금 잠을잔다면, 너는 꿈을 꿀 것이다. 니가 지금 공부한다면, 너는 꿈을 이룰것이다. 2. The today that you wasted is the tomorrow that a dying person wished to live. 니가 낭비한 오늘은 어제 죽은이가 소망하던 내일이다. 27/(30 in another version). You got to be kidding! 27. One more hour of study, you will have a better husband. 한 시간 더 공부하면, 더 나은 남편을 가질것이다. Harvard Library at 4:30 a.m. rises from the ashes! This time it is accompanied by an even more hilarius, if not outrageous text. It appears on more than 200 blogs in Sina alone! I cannot visualize Harvard students wearing Mao jackets and walking around like zombies in a Gulag, can you? Utter nonsense! But sadly, quite a lot of people believe it, and even defend it with tooth and nail! Have you been to Harard? Are you qualified to make these comments? Does what you say has any meaning? 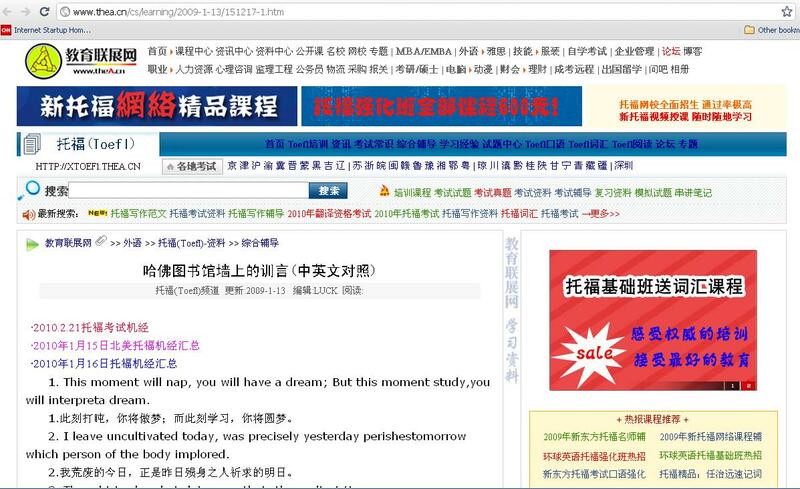 China’s biggest tutorial school for English has this on their Blog. 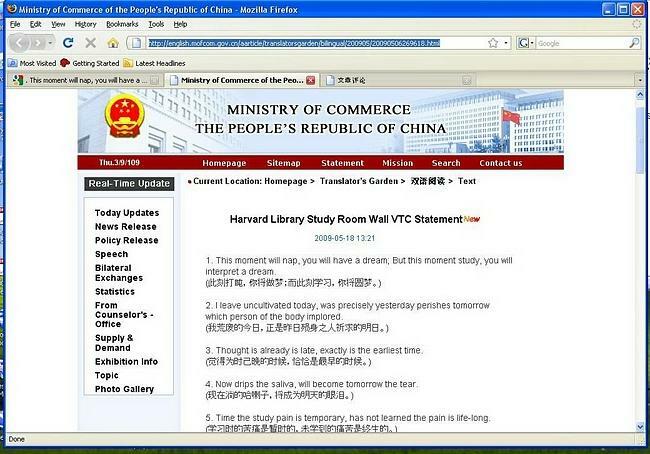 This entry was posted in The Made-in-China Harvard Library Mottoes. Bookmark the permalink. Very well written information. It will be useful to anybody who usess it, including yours truly :). Keep up the good work – can’r wait to read more posts. it’s impressive that it has been specially spread in China and Korea. 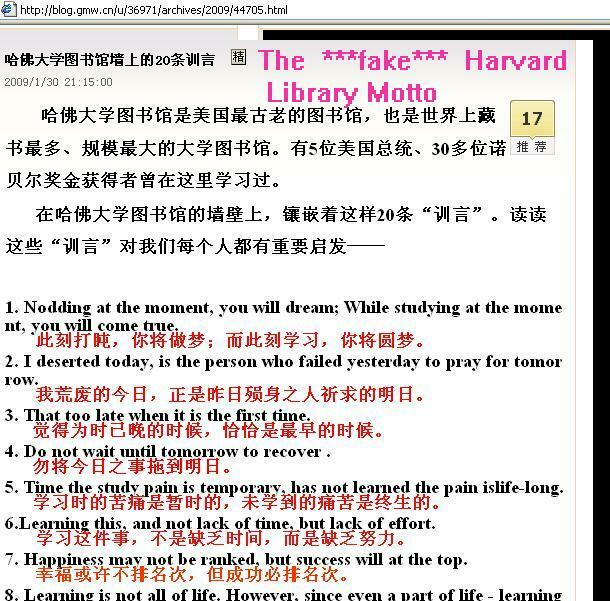 A generation of Chinese students draws inspiration from a hoax about Harvard.